Mike is a bartender. Andres is a regular. Together they discuss a few of the unique terms that comprise Cubanisms. 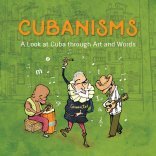 Inspired by the book Cubanisms: A Look at Cuba through Art and Words by Pedro Menocal. View on Facebook. Published by Current.Miami.